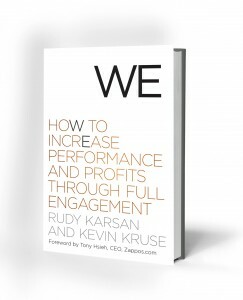 Rudy Karsan and Kevin Kruse’s book is pragmatic and of use to anyone looking to improve employee engagement. The book is organised into four parts. The first two deal with the individual and I will get my objections to them out of the way before discussing the gems to be found in parts three and four. In parts one and two the focus on the individual is understandable – as engagement happens from heart to heart. We know that globally, the rates of disengagement are too high and too many people are disconnected from their work. I also accept that people will feel more fulfilled if they find meaning and purpose in their work – but after reading the first few chapters I was left with an impression that we are Homo economicus – we are one dimensional and our primary function is our work. Through our work we will find fulfilment and happiness. But it feels like a rationale to get people to work harder. 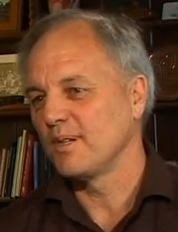 As a New Zealander one bad habit my fellow Kiwis share with the people of the United States (the home of the authors) is that we work long hours – we work too hard. Work-life balance is seriously out of balance. In this context I get concerned when I encounter an evangelistic approach towards the virtue and necessity of hard work. Having got that out of the way, this book has many gems. The authors have obviously rolled their sleeves up and got involved with engagement processes. They share the three questions they use to gauge engagement (you will find them in the book). I am a fan of short and open survey questions and intend to incorporate these into my work. The authors make a beautiful distinction: harmonisation = engagement + alignment. They raise the bar for us here. Some organisations struggle to get to the point of surveying staff about engagement. They may or may not do anything with the information gleaned. To ensure the material issues blocking greater engagement are addressed, and then to go on to align people across the various structural and ideological barriers in an organisation is a worthy aspiration. Another concept that resonates with me is their management prescription, embodied in chapter eight – “great managers focus on growth, recognition and trust”. This chapter atones for the issues outlined earlier. The authors prefer valuing employees to recognising employees. To survey your employees, survey them to see to what extent they agree with the statement “I feel valued as an employee of this company.” They prefer it to “I receive recognition when I do good work”. When authors apply concepts about qualities of character, such as trust and trustworthiness, they reveal to me a deeper understanding of the human condition than encountered in many business books. Rudy Karsan and Kevin Kruse highlight trust as an important driver of employee engagement. To understand this better they suggest questions such as: “How can our leadership team foster greater trust among employees?” The three qualities that inspire trust are competence, caring and commitment. It is hard to find books that focus on engagement – so this one is well worth the purchase price. If you know of others you would recommend, please comment.